Today I have a new optical illusion that was actually submitted to me by a viewer of MoIllusion. So, I’d like to give a big “thank you” to that reader. I appreciate all the emails I get and it may take a lot of time, but I eventually go over all of them. So, if you’ve ever had the urge to send me an email, you can go right ahead. I’ll certainly read it. 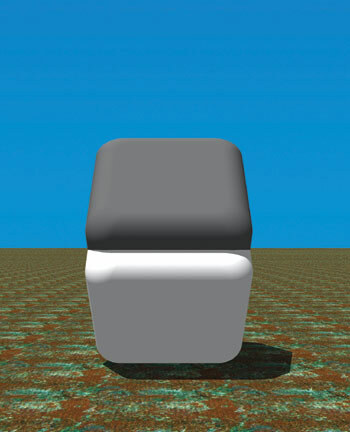 Now, this optical illusion is a pretty crazy one that trips out a lot of the people that have seen it. I’ve actually heard some people accuse the creator of witchcraft. Of course, they were joking with that comment, but this is certainly a really cool optical illusion that you’ll have a lot of fun with. Place your finger over the middle seam between the two blocks. Cover that middle area with your finger completely and watch as the contrast completely changes. Did you see how the contrast on the blocks completely changed when you put your finger over the middle seam? Pretty cool stuff, huh? I really hope you enjoyed it. If you want to check out another amazing optical illusion, you can check out this Hidden Animal Forest Optical Illusion. It was a great illusion that I posted on the site in the past and it will keep you busy for quite some time. There are animals hidden in the trees and you have to figure out how many there are.